CHICAGO, IL, NOVEMBER 13 – This #GivingTuesday, the United States Hispanic Leadership Institute (USHLI) will celebrate giving by raising $25,000 to build an online leadership curriculum for students in underserved communities. By developing an online curriculum, USHLI plans to experiment with new modes of teaching and learning to engage its target audience. Participants from the Student Leadership Series – which serves 2,930 organizations in 39 states – expressed in a 2018 survey that they wished the program would be more accessible to parents and students across the nation. As a result, USHLI aims to create massive open online courses (MOOCs) that train students in underserved communities to become leaders in the public, voluntary, and private sector. Potential courses will cover an array of topics, including civic engagement, organizational leadership, diplomacy, and mental health. Those who are interested in joining USHLI’s #GivingTuesday initiative can host a student-focused roundtable at their high school or college campus, volunteer ten hours a week, help us write the curriculum pro bono, or donate to our cause! The PayPal Giving Fund makes giving secure and reliable by ensuring that 100% of every donation reaches our organization. You can make your gift go even further this holiday season. From November 27 through December 31, PayPal Giving Fund will add 1% to all donations. AmazonSmile is a website operated by Amazon with the same products, prices, and shopping features as Amazon.com. 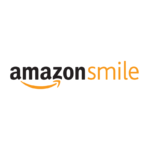 The difference is that when you shop on AmazonSmile, the AmazonSmile Foundation will donate 0.5% of the purchase price of eligible products to our organization. 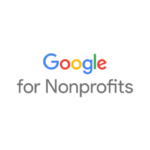 Complete our Google Form and let us know how you can to volunteer to help us launch this initiative. Maybe you can host a student-focused roundtable at a high school or college campus, volunteer ten hours a week, or help us write the curriculum pro bono? For more details about the #GivingTuesday movement, visit the #GivingTuesday website, Facebook page, or follow @GivingTues and the #GivingTuesday hashtag on Twitter. About the United States Hispanic Leadership Institute, Inc. Founded by the team in the Belfer Center for Innovation & Social Impact at 92nd Street Y http://www.92Y.org, #GivingTuesday is a global giving movement that has been built by individuals, families, organizations, businesses and communities in all 50 states and in countries around the world. This year, #GivingTuesday falls on November 27. #GivingTuesday harnesses the collective power of a unique blend of partners to transform how people think about, talk about, and participate in the giving season. It inspires people to take collective action to improve their communities, give back in better, smarter ways to the charities and causes they believe in, and help create a better world. #GivingTuesday demonstrates how every act of generosity counts, and that they mean even more when we give together.